We warmly welcome you to the new Renaissance Antiques website, and hope that you enjoy discovering the hundreds of special treasures we have in store for you. We invite you to click on the heart icon to save some of your favorites to view later. It has been eight years since we sold the Solvang Antique Center and two years since we opened our new showroom under the Renaissance Antiques name. For those of you who have not visited the new shop we look forward to seeing you here in the near future. 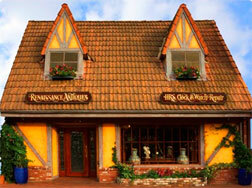 If you can’t make it to Solvang, we will do our best to bring our inventory into your home through the website. We are only able to list perhaps 10% of our inventory on the site, so please call or write us when you are looking for something special. If we don’t have it in stock we will do our best to find it for you. In the meanwhile, please enjoy the site and know that we appreciate any constructive criticism or suggestions that will help us fine tune and improve it.